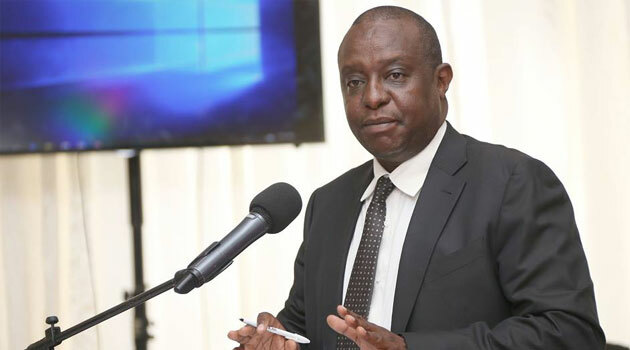 Treasury Cabinet Secretary Henry Rotich warned Kenyans against fake job offers during the period. NAIROBI, Kenya, Jan 23 – Kenya National Bureau of Statistics (KNBS) says the recruitment process of over 164,000 people who will conduct the countrywide Census in August 2019 will start in June 2019. Speaking on Wednesday during a meeting with World Bank Officials and Editors, Director General Zachary Mwangi says training will be carried out in July in preparation of the exercise. “Let me caution the public against falling prey to fraudsters who have formed a syndicate to defraud Kenyans with promises of securing jobs in the forthcoming census,” Rotich said. Rotich says the government does not require individuals to pay any money to be considered for employment. “The Kenya National Bureau of Statistics and my Ministry have official websites and any official communication should only emanate from the two institutions,” he noted. The census will be done in August 2019 on the week of 24th at a cost of Sh18.5 billion. Principal Secretary State Department of Planning Julius Muia says the census is important for the budget allocation process for the devolved units, and will also be used in future planning, as well as monitor the progress of Kenya’s third medium-term plan for implementation scheduled for 2018 to 2022 and vision 2030. He says it also comes at a time Kenya is undertaking the big four agenda and will be key in helping the plans and allocation of funds. The exercise will be paperless where enumerators will use mobile devices which will have data collection applications to transmit the data to a central server. The use of technology will eliminate mistakes and see the results released within three months compared to the previous one year.